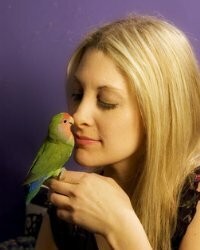 In this interview with Pet Expert Nikki Moustaki, learn her tips and advice to bond with your furry friend! Nikki holds and M.A and an M.F.A in creative writing from NYU and an M.F.A in creative writing from Indiana University. 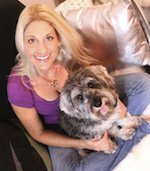 She has written over 40 books, with more than half a million pet books in print, and has written hundreds of articles on pets and their care and training. 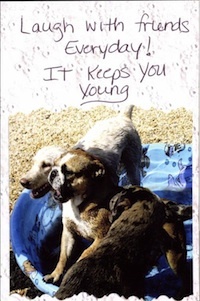 She started the successful Pet Postcard Project, helping feed thousands of homeless dogs. Nikki is also an energetic and lively TV and radio guest, she currently hosts a pet-related cable show on The Beach Channel in Miami Beach. 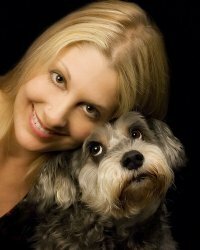 As a dog trainer, Nikki uses positive and kind methods, focusing in helping dog owners better understand their pets. We asked Nikki to answer a few questions about dog training for us, and we think you'll find her answers helpful and interesting. Enjoy! 1. Who and/or what events inspired you earlier in your life to become the pet advocate and expert you are today? My paternal grandfather taught me to have compassion for animals. He kept a lot of birds, from pigeons to parrots to chickens, and that's where my love of birds came from. I grew up around animals, and being an only child, it was as if they were my brothers and sisters. When I was little, I didn't really understand that they were much different from me (which they probably aren't). As I grew up, I brought home injured birds, boxes of kittens, and every stray dog I found. When I was old enough to work, I got a job at a dog grooming salon, and then at a pet store. It was like a snowball rolling downhill -- pets, pets, and more pets! Nikki doesn't just love dogs, she loves all animals! She is also an expert in bird care and training. She was the animal handler for the second season of Tony Danza Show. 2. I think the Pet Postcard Project is a really creative undertaking, both the idea itself and the fact that it inspires dog parents to think creatively about their furry friends. How did you come up with the idea? There's a dog rescue in South Florida called Sabbath Memorial Dog Rescue, and my parents have known the man who runs it, Robbie Coy, for many years, so he's a long time family friend. He is one of the most compassionate and passionate people I know regarding animals. He will do just about anything to save a dog. As with most shelters, Sabbath Memorial is always short on funds, but long on good intentions, so I wanted to jump in and help them fund-raise. Above is one of the thousand postcards sent to support this cause. 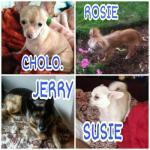 Visit the Pet Postcard Project website and send in your pet-postcard to help feed homeless dogs! I dreamed up The Pet Postcard Project as being the kind of charity project where people wouldn't have to put their hands into their own wallets to help. I would get companies to pledge $1.00 for every card that came in, and get people to send in cards. It was slow at first, but then gained tremendous momentum. After a while, I realized that it's easier to get pet food as pledges from companies, and it helps just as much, so the project turned into a "food-raiser" instead. Since 2007, The Pet Postcard Project has helped dozens of rescues, shelters, and food pantries, and has raised well over 200,000 pounds of dog food, plus lots of other goods, and over $18,000 in funds. Pretty good for a grass-roots effort! 3. Talking about creativity, what would you advise dog parents to do to get creative when frustration with their pets is running high? What do you do when training is not going the way you want? It pains me when people get frustrated with their dogs. It nearly always stems from a lack of communication. The dog isn't certain of your needs, and you are not certain of your dog's needs. If you can meet in the middle and really communicate, that's when a balance is achieved. But it's not easy for two different species to communicate, so mostly people expect the dog to meet them not halfway, but most of the way (or all of the way), and that's not fair. Pet parents have to learn about their pet's body language, needs, and means of communication in order to avoid frustration. To show someone how to communicate with their dog is a much bigger conversation, and depends a lot on the individual dog. I encourage people to reach out to dog training or behavior professionals if there's an issue. When training one behavior isn't going my way, I immediately switch to something else. If I'm training a recall and the dog is as jumpy as a jumping bean, running around like mad, maybe I'll turn that into a game -- follow me, I have treats! I just want to open the lines of communication. If I can do that, the day was a success. Musical skills too! 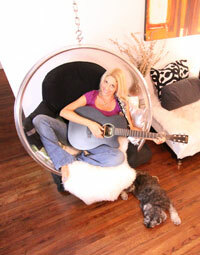 Nikki created a canine focused blues album for alarm barkers and dogs who suffer from separation anxiety. The songs integrate everyday household noises to keep hounds calm. Listen to samples on the link below! 4. On your TV episodes, websites and blogs it is clear that you not only love your dogs, you also like to have the best time with them! What is your vision for what will be popular in dog fashion and dog lifestyle in the near future? Nikki took her beloved dog Pepper to visit Europe. Read the adventures of an American dog in Paris in her blog. I have a blast with my dogs! They are my best friends. I don't think of me as their "parent." I think we are equals as beings in the universe, I just happen to have thumbs and a paying job, so I'm the one who takes care of them. But they take care of me right back emotionally, and they make me laugh, and they are soft and fun to squish with big hugs. They are amazing company. You can never be lonely with three dogs around. Treats, clicker training, and positive reinforcement training are all great ways to bond with your dog, because you are spending quality time with them when you do it. It's so cliche, but it's true. Dogs will work for food. Or praise. Or a toy. Find out what motivates your dog and use that to enhance the bond. For example, I recently adopted a miniature Poodle, Jasmine, who had basically no training. The people who dumped her said that she was a nightmare, destroying their house, pooping everywhere, and barking like mad. In my home, treating her like an equal being, I have seen absolutely none of those behaviors. She's an angel with me, and in large part it has to do with my two other dogs. This poor Poodle just wanted to fit in somewhere and have other beings understand her. In three weeks I've trained her to sit, give paw, twirl, walk on two legs (forward and backward), jump, and come to me when I call. How did I do that? Three, ten-minute training sessions a day, very informal, and I haven't even broken out the clicker yet -- that's next. Jasmine is motivated by food. She lets me know when she wants a training session -- that's great! At this point, she won't do a thing unless I have a handful of treats. Is that ideal? No. Eventually I will try to fade the treats, but with some dogs that doesn't work. If not, I'll just keep the treats. I have to meet her on her level and not expect her to be a robot. I'm excited to add other behaviors to her repertoire, but I may always need treats in hand, and that's OK. I recommend trick training for all dogs, especially difficult dogs. 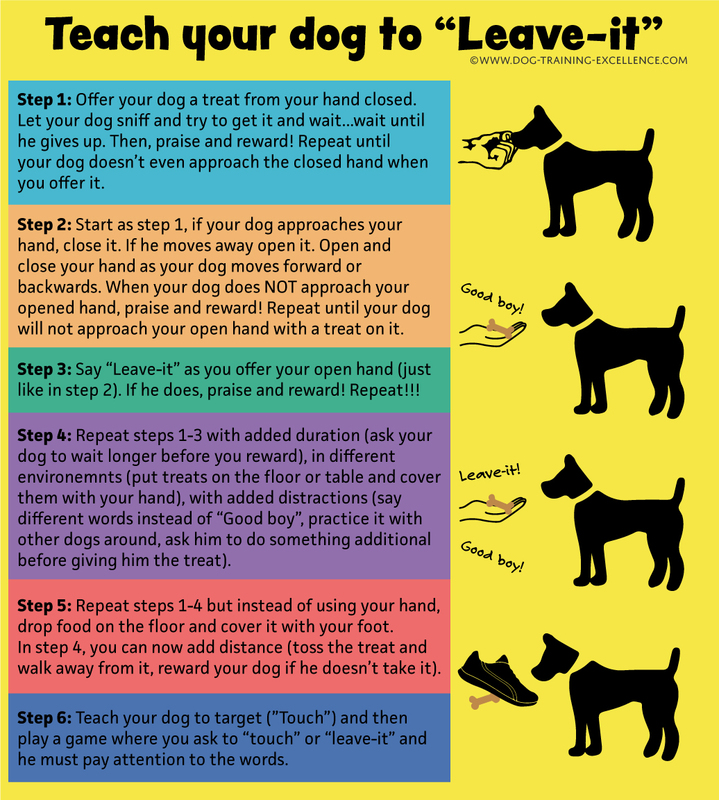 Even if you can only get your dog to do one "trick," that's one more piece of communication that you have together. Dog fashion is very fun, but it kind of baffles me too. I'm a very practical dog trainer and dog owner. I love seeing dogs in dresses and tuxedos because it's cute, but it's not important to me. But, if you can dress your dog and she's still comfortable, then you have a good bond with her. I like seeing that. I hope to see lifestyle changes in this country that are similar to those in many places in Europe, where you can take your dog into cafes and restaurants. Let's be with our dogs all the time! 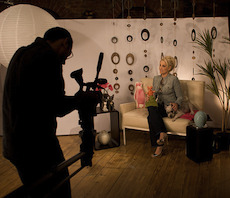 Nikki hosted, co-produced and co-wrote the national NBC/MSN show The Celebrity Pet Dish (picture above), with her Miniature Schnauzer, Pepper, as her co-host. 5. Having had so much experience in dog training and pet care, what do you think owners find most challenging? Owners find communicating their needs to their dog very challenging. They want their dog to know his name, to come when called, to sit on command, not to destroy things, not to bark incessantly, not to pull on the leash, not to run away, and not to potty in the house -- those are the basics. Those are the things that living peacefully with a dog entails. But how to you communicate all of that? You can't do it using your own language. You have to learn the dog's language. If you think you're frustrated as a dog owner, your dog is ten times as frustrated. As a dog trainer Nikki does in-home and over the phone/skype consultations. There's something I call "the lightbulb moment" in dog training. This usually happens with a shelter dog or someone's "bad dog" who has gone his whole life being misunderstood. I communicate with the dog, and all of a sudden a lightbulb goes off in his head. You can see the joy in the dog's soul when this happens (and he's usually bouncing around like a tennis ball). You can practically see the thought bubble over his head, saying: WOW! YOU UNDERSTAND ME! HOLY COW! I NEVER THOUGHT THIS MOMENT WOULD ARRIVE! YIPPEE!" It's a fun moment, the cross-over moment where real communication starts taking place. I used to train puppies a lot, but there's no challenge, no lightbulb moment. Give me a shelter dog any day and let me rehab him, let me show him that the world is a place where he can fit in. That's fun, and it's very rewarding. 6. What do you find challenging when training dog-human teams? I find that humans do not always do what I tell them to do! The dogs are easy to train. Humans? Not so much. It's easy to get slack about training your dog. People get busy. If I see a client once a week, maybe the family will do my exercises for a couple of days, and then they go back to doing what they did before -- not always, but it happens. This is the big challenge that all dog trainers face with dog-human teams. Also, people are very set in their ways, and they remember how their dad trained their childhood dog, and they want to insist that those methods work. No, I have to say, please do not shove your dog's nose into its poop on the carpet! It doesn't work, and it harms the bond you're trying to build. 7. 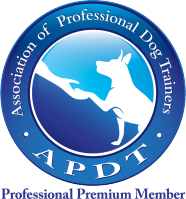 Dog Training Excellence promotes science in dog training. We always like to ask this question. 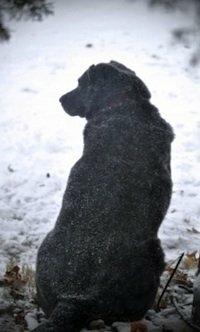 In the many gaps in knowledge about dog training and behavior that still exist, where in particular would you like to see more scientific research done? I would like to see more research on where dogs came from, exactly, so that we can better understand our dogs, and not have people think that their Pug is a wolf. I have heard a theory that wild dogs domesticated themselves, not us domesticating them by stealing wolf pups (which probably happened too). When people stopped being nomadic and settled in villages, dogs started hanging around the outskirts, eating the trash. Eventually they got bolder, and people started feeding them, and they started being a part of human society. People saw their value, perhaps in keeping other wild animals away, or eating vermin, or just something to keep them warm in the winter. I love that theory. It means that we came to each other 50/50, not that we dominated this species and forced it to be ours. They needed us, and obviously we need them. Wouldn't it be fun to trace back the dog's history all the way and figure out how we got so lucky as to have this creature in our lives? It might help people realize that dominating a dog isn't part either of our histories, and that dog training is best as a "meet you halfway" endeavor. We want to thank Nikki Moustaki again for taking the time out to speak with us at Dog Training Excellence. We hope she has given you some great ideas and opened your eyes to new ways to bond with your pet dog. To learn more about Nikki Moustaki visit her website at nikkimoustaki.com.